I am sharing my high school graduation moment on this week's Friday Photo Flashback. 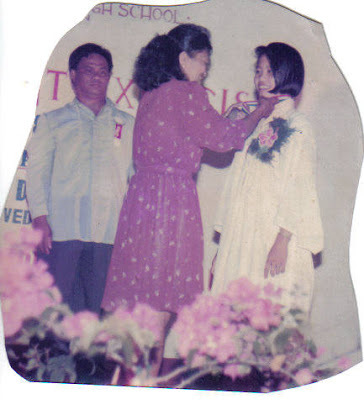 I was one of the honor student who graduated so my Mom's smile was from ear to ear hehehe. Take note that all the stuff I wore was borrowed hahaha. We can't afford to buy anything then but it's quite great memories for me.